Amid the twists, turns, and baffling uncertainties of the 2001 anthrax mailings case, many observers have managed to hold fast to one conviction: that the anthrax letters can’t possibly have been the work of al Qaeda. But are they right? One way to find out would be to identify the actual Mailer. That may prove easier than often thought—if one looks in the right place. Another approach would involve analyzing each of the objections to determine its merits. Let’s try that. 1. Many observers note that the kind of anthrax found in some of the letters clearly comes from the flask of virulent anthrax maintained by Bruce Ivins at the United States Army Research Institute of Infectious Diseases in Frederick, Maryland. So how would it get into the hands of al Qaeda? One answer: some 300 scientists had access to this anthrax, including those in universities and biotechnology companies. In the lax security environment of the pre-9/11 era, various al Qaeda-sympathizer scientists therefore had plenty of opportunities to steal the anthrax, as detailed by researcher Ross Getman. It wasn’t particularly difficult. A second answer: the attack anthrax contained certain minor components that were not present in Ivins’s flask. 2. Careful analysis of the anthrax letters, many claim, shows them to be fakes concocted by someone who made them look like ones al Qaeda would write. For instance, a real al Qaeda operative would have started the letters with an invocation to Allah. But this assumes that al Qaeda types are cut from the same cloth, which is demonstrably false. They come from all over the Muslim world, including from sophisticated westernized cultures. While such operatives might start with an invocation, they might well not. 3. Another very common objection arises from the advice in the letters to take “Penacilin”. No al Qaeda operative would have warned his victims and provided the correct antidote, it is felt. But in fact the Prophet enjoined his followers to warn their enemies when they were going to attack them. In this case, because the Mailer was unable to warn his targets beforehand, at least he told them it was anthrax and indicated the remedy. At any rate, the reference to penicillin is not unequivocal evidence. 4. A favorite objection is that al Qaeda would not have wasted the anthrax on a few recipients of the letters. It would have tried to dispense the anthrax from a cropduster or release it in a subway. In fact, Mohammed Atta and his gang of intending hijackers, who appear to have been handling anthrax in Florida, did seek a cropduster but were frustrated in their efforts. Moreover, mailing poisoned letters has a secure place in the repertoire of clandestine organizations in the Middle East. And Atta, who may well have drawn up the list of addresses for the letters, had a strong need for vengeance that would make the killing of a single person in an anthrax letter attack worthwhile, as long as it was the right person. As with many other “al Qaeda would (or wouldn’t) have” objections, this line of reasoning relies on untenable assumptions about how al Qaeda members think as well as about the constraints (e.g., the threat of imminent arrest) under which they operate. 5. A more serious objection is that, if al Qaeda indeed did possess anthrax, it would not stop with a single flurry of minor mailings. It would attack again and again. Yet it has not. Here the explanation has only slowly emerged. It is that the anthrax used in the 2001 mailings seems never to have left North America. Rather than being the product of an al Qaeda biowarfare program, the anthrax was prepared in a U.S. Government-associated lab in an effort to test vaccines against advanced Soviet-era anthrax, then stolen from a North American university or biotech business lab, prepared for use here, and inserted into the envelopes without any of it having been saved or shipped to al Qaeda’s headquarters in Afghanistan. So when the last letter was sent, al Qaeda ceased having anthrax. 6. Another rather common objection holds that targeting liberal Democratic Senators Daschle and Leahy made no sense for al Qaeda. But Leahy was an arch-enemy, in al Qaeda’s eyes, because he had sponsored the rendition law that enabled U.S. agencies to return captured operatives to their countries of origin, where they would be subject to torture and possible execution. That Leahy was a liberal Democrat meant nothing compared to rendition. So the fact that one letter was addressed to Leahy constitutes another piece of evidence that the attacks were from al Qaeda. 7. Still another argument is that, if al Qaeda had carried out the attacks, it would have claimed credit for them. Not necessarily. Sometimes al Qaeda might choose to remain silent in order to mislead the enemy. In this case, such a tactic might have succeeded royally, considering the confusion, quasi-paranoia, and failure to come to closure we have experienced. However, it is also possible that the al Qaeda perpetrator carried out the anthrax attacks without informing headquarters and then committed suicide. So one very likely outcome of the case could have been that neither al Qaeda nor the U.S. Government would ever know that the attack had come from an al Qaeda operative. So upon closer examination the seemingly unanswerable objections to the al Qaeda theory shrink or vanish altogether. However, it must be acknowledged that certain ones (#3 and 5) looked very persuasive and required special interpretation to overcome. It should therefore not surprise us that some very smart people have been misled. Is it possible to identify a likely al Qaeda Anthrax Mailer? The answer is yes. FBI has already done so, in 2004. 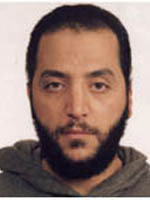 His name was Abderraouf Jdey, and he seems to have committed suicide by turning himself into a shoebomber to bring down American Airlines Flight #587 on November 12, 2001. It also appears that the Bush Administration, to escape the major embarrassments connected with the Jdey story, induced FBI to stop investigating Jdey. And that leads to sobering conclusions. Although the impact of one person mistakenly thinking that al Qaeda could not have perpetrated the anthrax attacks seems small, cumulatively tens or hundreds of thousands of such mistakes have powerfully contributed to the failures of the investigation. The conviction that the Mailer was domestic led to unfounded suspicions about Steven Hatfill and others while permitting the media to get away with focusing on the Hatfill court cases instead of on the crime and its investigation. This conviction also contributed to the very dubious identification of Bruce Ivins as the Mailer. And it has kept observers from seeking out information on the al Qaeda theory of the case that is readily available on the Internet. These errors also appear to have permitted the Bush Administration to cover up the embarrassing Jdey story and thereby to carry out its policies with much more credibility and public support than it deserved. Lastly, it wasn’t just a question of uninformed citizens getting things wrong. As noted above, some very sophisticated, highly informed, keen-eyed observers made these mistakes, and some of the misleading thinking seemed eminently sensible—reminders of our limitations in dealing with terrorism. Terrorists seek to exploit our weaknesses and especially to activate our capacity for inflicting damage on ourselves. In the anthrax mailings case, they certainly seem to have succeeded.